Each week until the end of the year we’ll take a look at different types of sparkling wines — Champagne included, of course — so you’ll be able to make a great choice for your New Year’s Eve occasion. Rather than an exhaustive explanation of champagnes and sparkling wines, this series is meant to provide an overview along with some food-pairing tips. We’ll give some specific examples both classic and new. Read the descriptions and you’ll be able to find something similar if your wine shop doesn’t have any of the brands mentioned here. We have excellent sparkling wines made here in the United States. But because we can’t call them “champagne” people often think less of them. Why can’t we call them “champagne”? Because winemakers in many of the wine regions in the US have signed an agreement with the winemakers of Champagne, France, not to use the name. It’s as simple as that. Well, not quite: the Champagne producers also have a certain climate, a terroir that makes their sparkling wines unique, which is a major claim for their proprietary name. There are a few U.S. producers who have been grandfathered in to be able to use terms like “Champagne” or “American Champagne” or “California Champagne” on their labels. There are also a few companies that just use the term; technically they can get away with it if they’re not located in one of the regions like Napa and Sonoma that signed the agreement with the producers in Champagne, France. It may be worth noting that I have never found anything good labeled “Champagne” that is made in America. But there are sparkling wines are made in many states in the US that are well worth writing about. If you’re on the East Coast, you probably know about Westport R ivers in Massachusetts or Thibaut-Janisson in Virginia. In the Pacific Northwest, you’ve heard of Argyle and Chateau Ste. Michelle. The southwest boasts Gruet (made by a family from Champagne). Wines like these are especially fun to have on American holidays, or when you’re eating local. These wines often have more intense fruit flavors, which can pair well with holiday meals – like turkey, for instance. 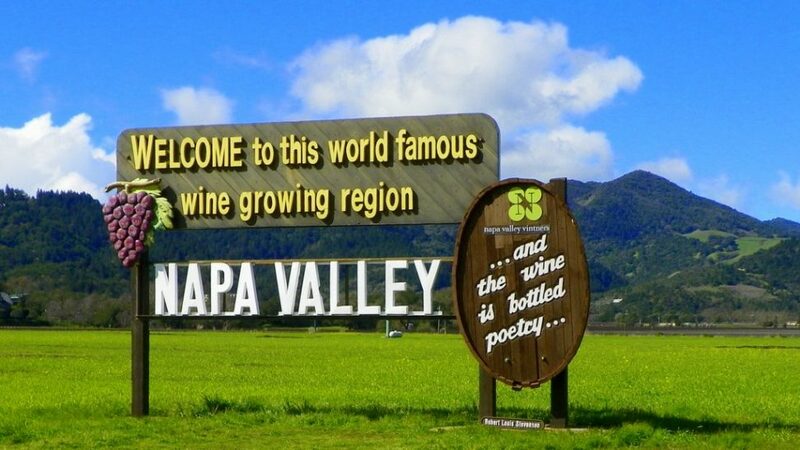 For the finest sparkling wines in the US, though, I look to Napa and Sonoma. These two famous counties each have a share of the Carneros region: a cool area, closest to chilly San Francisco bay. Grapes ripen well and slowly here. And sparkling wine grapes are harvested earlier than the grapes for most table wines, which ensures a lively acidity that piques the palate – and energizes your party. 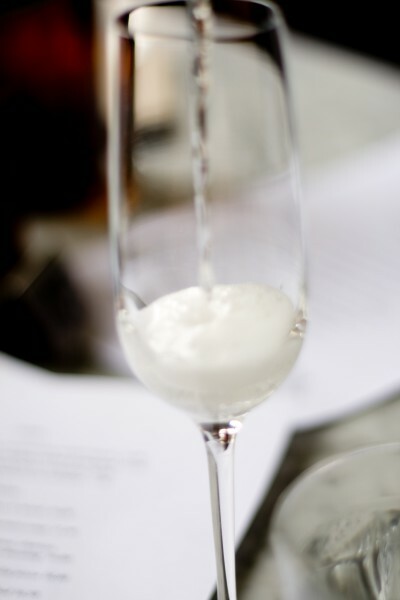 Many of the sparkling wines from this region have a fine, small mousse and touches of fruit on the palate, with long, citric finishes that make your mouth ask for more. Great sparkling wines also need time to age in the bottle, which rounds out their flavors and emphasizes their high points. Expensive land, years of storage, it all adds up: yes, price is most often an indicator of quality when you’re looking at US sparkling wines. And a lot of people from other countries have been looking at U.S. sparkling wine production. A couple decades ago, French Champagne firms founded the California sparkling wineries Piper Sonoma, Mumm Napa, Domaine Chandon and Domaine Carneros. They found optimal conditions to make an American product with the potential to live up to high standards (considering they’re in America, of course). They have access to Carneros fruit as well as other grapes grown in cooler areas of Napa and Sonoma. Schramsberg and Iron Horse are two other high quality producers in Napa and Sonoma that you can find in most well-appointed wine shops. In addition, there are other smaller producers from California, Oregon, Washington, etc., which are just getting started and have variable distribution. For these, as I mentioned before, price does make a difference, though it’s not an infallible indicator of quality. 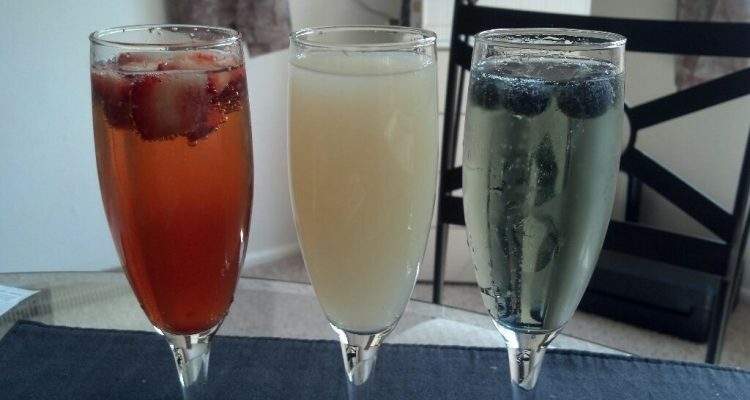 American high end sparkling wineries produce a variety of styles including rosé and vintage sparkling wines. Sometimes they even make an “extra dry” style, which is great with food like chicken, pork and some fish and Asian dishes. These sparklers tend to be made with the traditional champagne grapes – chardonnay, pinot noir and pinot meunier – and aged in the bottle in the traditional manner. Pricewise, you may find some around $20, but there’s a sweet spot in the $40 range. And special releases, which are worth the price for special occasions, go for $70, $100 or more, especially if they are large format (like magnums). Luckily, many sparkling wines are discounted this time of the year!